Learn how to take strokes off your golf game by getting putting instructions from Jupiter Putting Studio. Video capture is extremely important for analyzing your putting stroke. The data from it is viewed in real-time, which helps with your consistency between a less-than-perfect stroke and a near-perfect stroke. Our Jupiter, Florida-based putting analysis service uses the most advanced technologies to improve your short game. The SAM Puttlab™ captures and measures multiple parameters of the putting stroke, 28 in all. Key parameters include face at address and impact, loft at address and impact, path, rotation, upward angle impact, and timing. 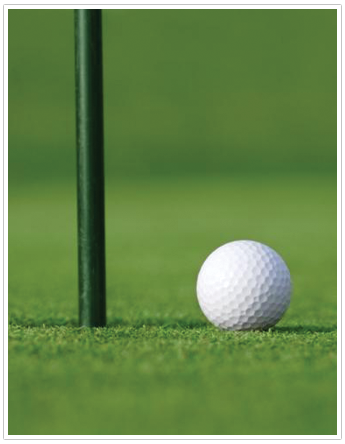 A perfect example is a straight 10-foot putt, which also tests its length. The SAM BalanceLab™ uses force plate technology, allowing us to measure the exact amount of pressure applied to your feet during the setup and stroke. The Quintic™ ball roll analysis utilizes multiple high-speed cameras to measure skid and roll. Most people are surprised by how long the ball stays in the air and then skids before it begins to roll. One of the keys to every good putter is achieving a true roll. With the proper loft, ball position, and angle at impact, we guide you in improving your roll, which is recommended for those with lower handicaps. Find the right putter to accommodate with your swing. We provide recommendations on what putter you should be using, based on our video analysis. Your putting stroke benefits from using a putter with the proper loft, length, weight, shaft, grip, and style. Take advantage of our mobile services and improve your short game at your favorite course. Our mobile lab allows us to join you for a testing day at your club or facility. We come on site with our analysis hardware to provide data that we use to instruct you with. Learn how to read the green properly, and avoid having to rely on luck. With our seminars, you'll be able to understand the basics in reading and feeling of the slope, grain, and conditions that impact you're putting.